Friday has come around quickly this week don't you think. 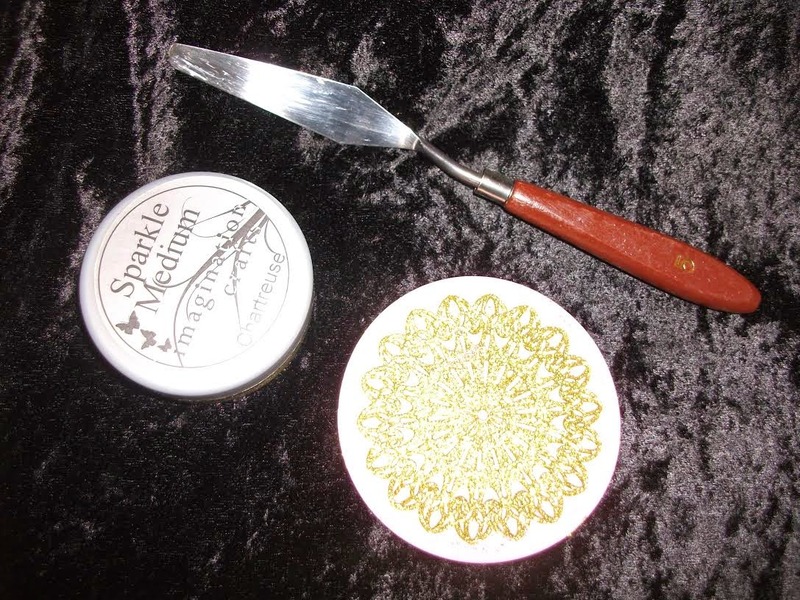 Today we have Christine showing you how to make beautiful embellishments with Sparkle Medium. This is what Christine has written. Iv'e found a new way of using my Sparkle Medium (Chartreuse) which I'd like to share with you all. 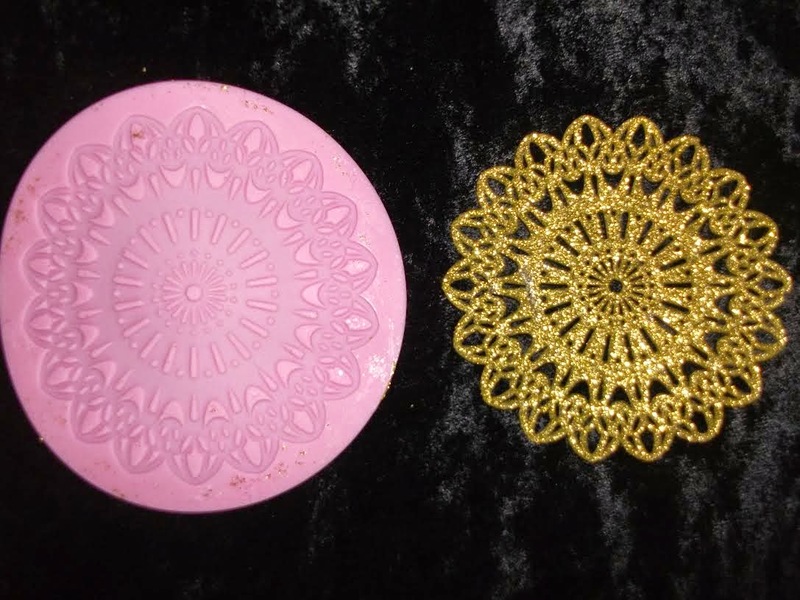 I have some Cake Decorating icing " Lace" moulds which I use for my Cake Decorating demonstrations. 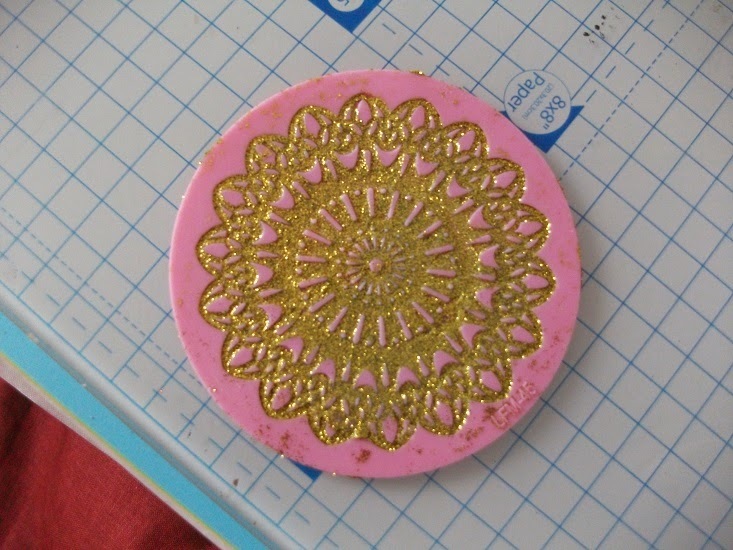 As I like to experiment with all things crafty, I wondered what it would look like if I spread Sparkle Medium into the moulds. 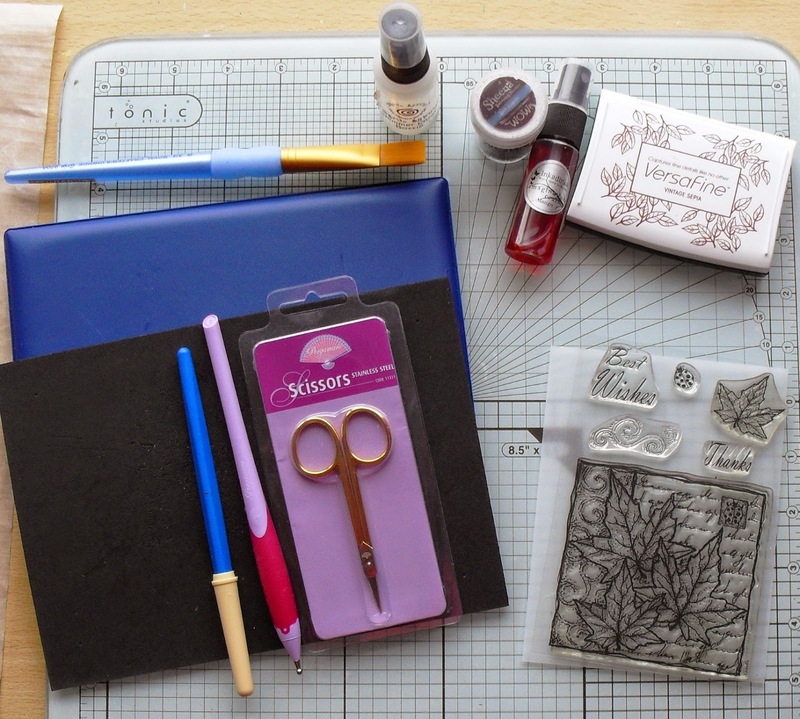 It's fantastic as it comes out in one piece and you can use it to embellish all your craft projects. I strongly suggest you have one set of moulds for icing and another for Sparkle Medium for health and safety reasons. 2. Leave this to dry overnight. 3. 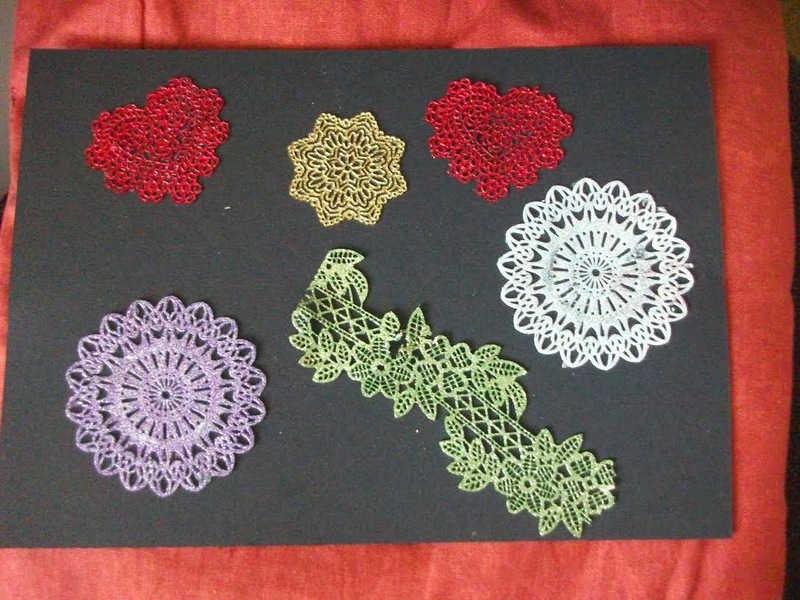 Tease out the "lacey" embellishment and hey presto - you have a lovely embellishment to use which will compliment all your other Imagination Craft products. 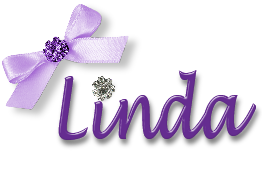 These new "embellishments" look Die Cut and will stick onto card, glass, plastic etc., Keep a look out on the Imagination Crafts blog for projects made using this method in future. We hope you have enjoyed today post. Today it is my turn to share a tutorial with you all. We had a fabulous time on Friday at Port Sunlight for the Happy Stampers one day show. It was great to meet our old friends and making new friends too. 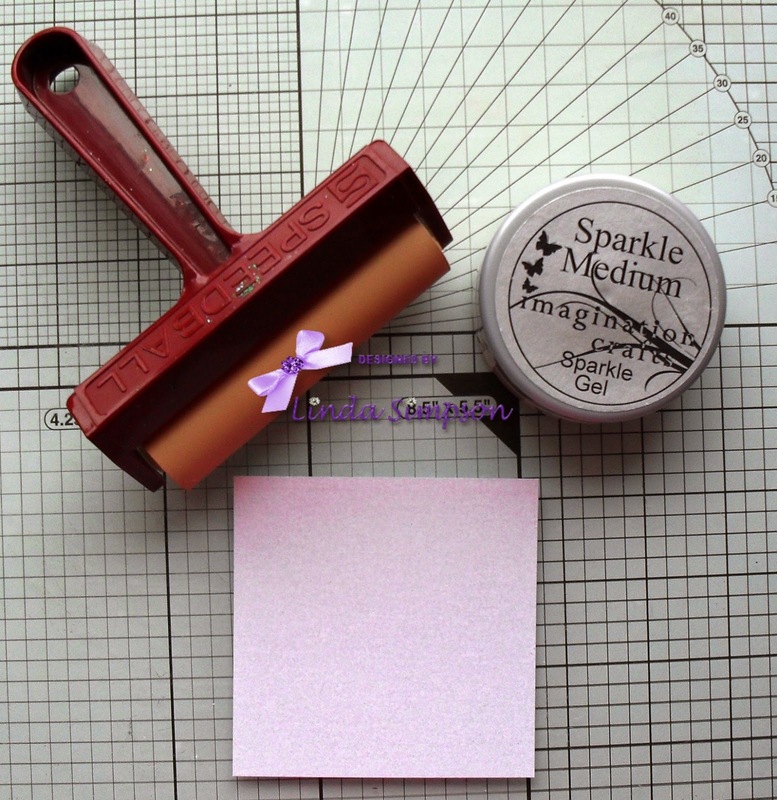 Parchment pricking mat, embossing pad, Parchment tools. 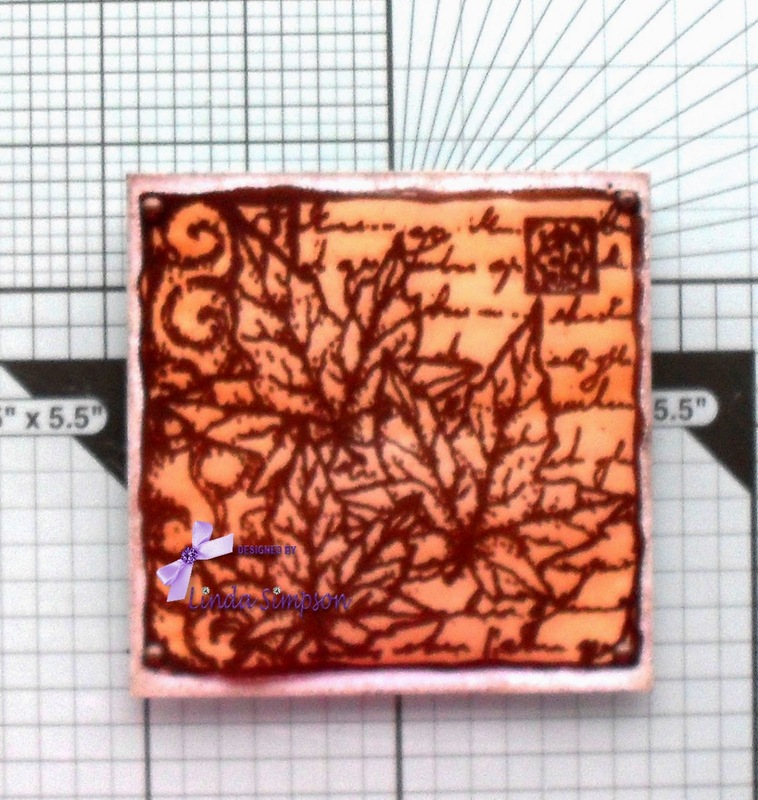 Stamp the image onto Vellum and emboss with WOW embossing powder, on the reverse side of the image paint Inkadinks Mango and set to one side to dry. 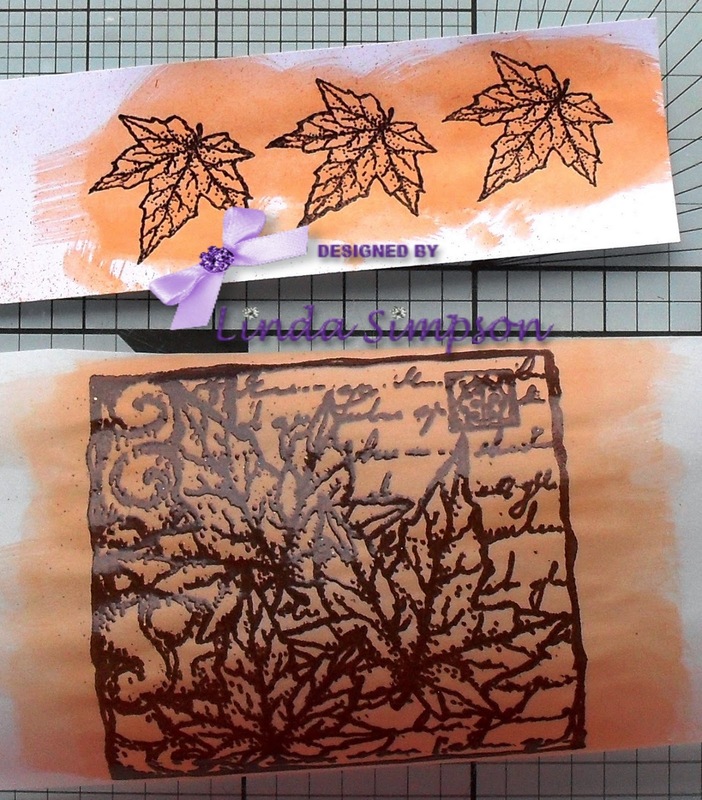 Stamp the leaves and emboss the paint with Inkadinks, once dry cut out the leaves. Cut a piece of white pearlescent card half a centimetre larger than the stamped image and then brayer with Sparkle Gel. 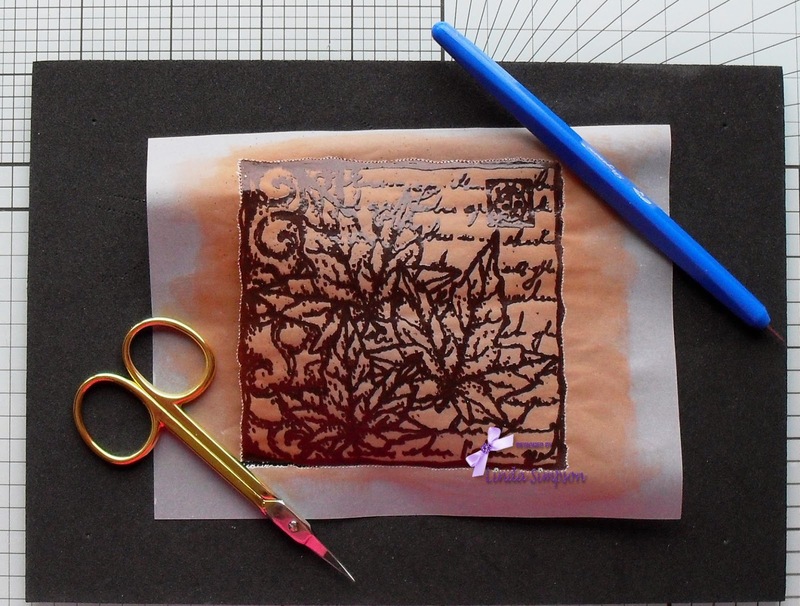 Using the 2 pronged parchment tool prick all around the image and then cut with curved scissors. 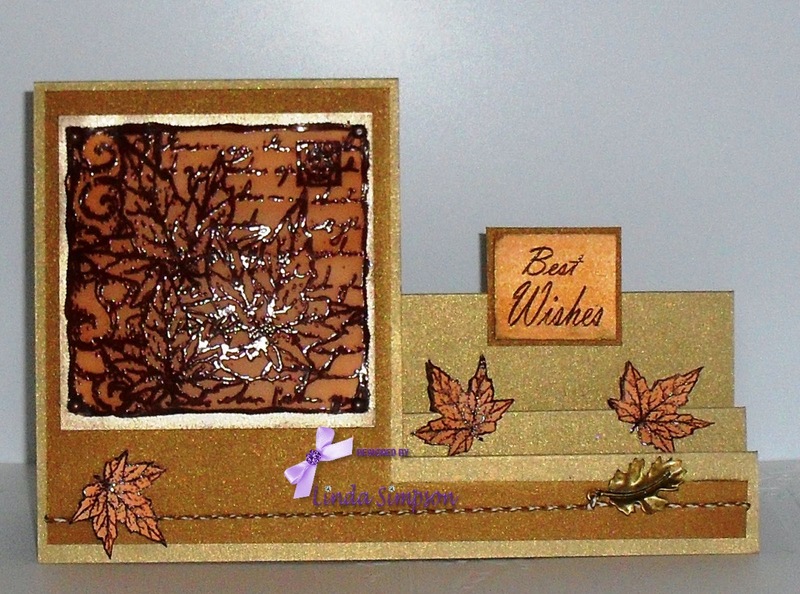 Using brads attach the vellum to the white card which has been distressed around the edges with Vintage Sepia. 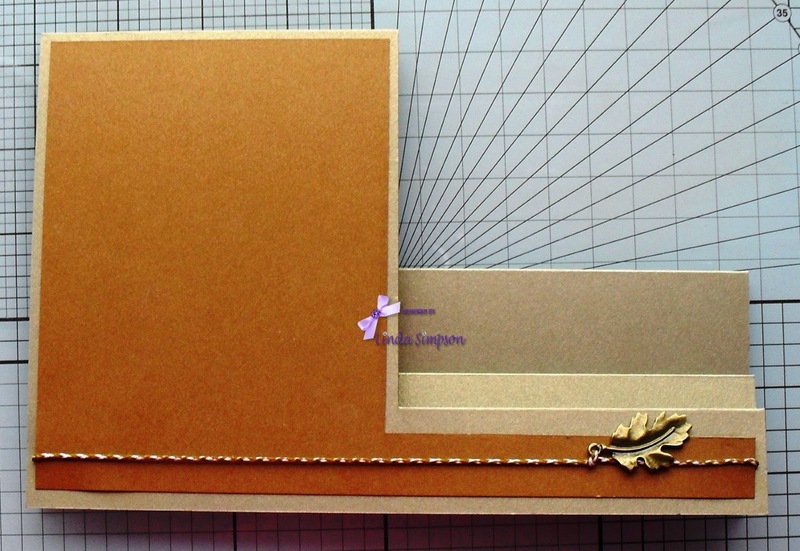 Make a stepper card with old gold pearlescent card, the card measures 21 x 28 cm. On the reverse of the card measure 10 cm across the top and bottom and and score at 3, 6, 10, and 21 cms up to the pencil line. 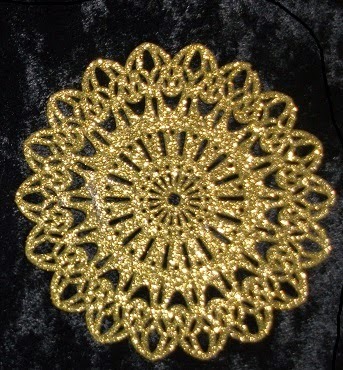 Score at 14 cm across the whole of the centre of the card. Cut a straight line 3 cm point to 21 cm, then fold. Cut a piece of Baker's Twine and thread a leaf. Cut a piece of copper card to mat onto the front of the stepper. 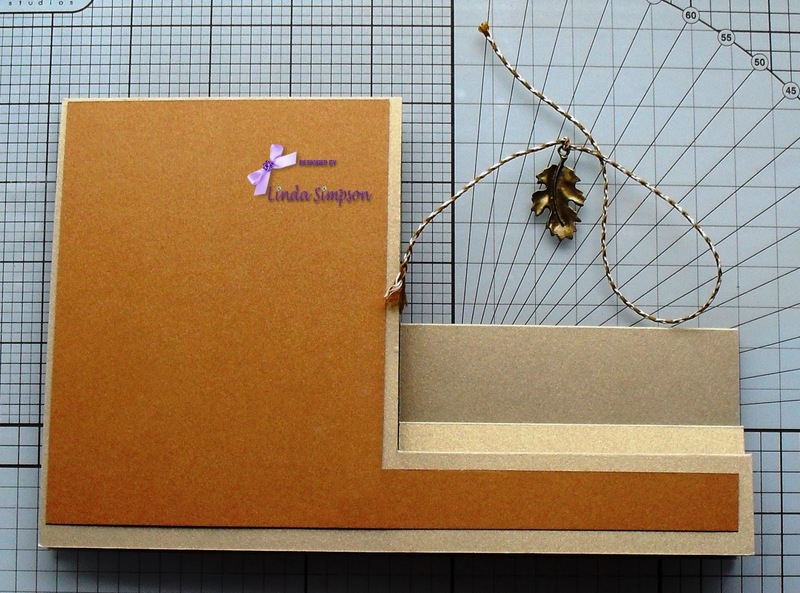 Wrap the Baker's Twine around the bottom of the copper card and adhere to the base card. Stamp the sentiment onto white pearlescent card, emboss the sentiment and paint with Inkadinks then mat and layer onto copper card. Attached the topper, leaves and sentiment.